The price for visits and walks if you choose this service for your pet. will depend on your particular requirements and those of your pet but generally go from £10 to £15. By preparing your budget in advance you’ll be able manage your expenses. When you use a pet sitting website, you’ll need to take into account the all inclusive price for the service you choose. The term « ALL INCLUSIVE » means that the price shown include an amount for both the pet sitter and for the site. In the case of visits or walks, it’s important to clarify that the price will be per visit or per walk. So if you’re thinking of organising several visits or walks per day, the price per day will be much higher. You’ll therefore notice that the price for different sitters may vary by a few pounds. If you choose to use a website, part of the overall price will go to the site. 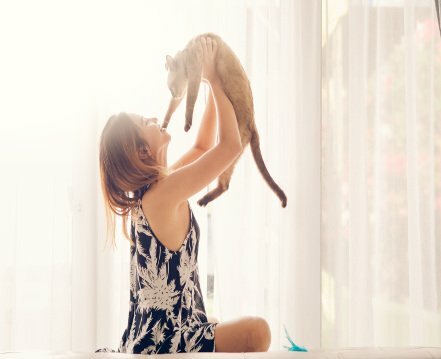 Pet sitting sites which put owners in touch with sitters, offer some important advantages which justify the fee that they charge. For example you can benefit from personalised customer support, as well as public liability insurance cover during the service. These fees will vary according to the type and number of animals to be looked after. Unlike the sitter’s fee, the fee for the site will be the same, regardless of the sitter that you choose. When you book visits or walks, you may have to pay additional expenses, depending in part on your requirements and in part on the particular sitter you choose. What’s more, there may be other costs to pay, if any problems arise while you’re away. For both visits and walks, the pet sitter will need to travel to your home in order to take care of your pet. So all the sitter’s travel expenses will be included in the final price. These expenses will be calculated on the basis of a return journey from the sitter’s home to yours for each visit. To limit these expenses, we recommend you choose a sitter as close to your home as possible. If you’re going away for several days or several weeks, you’ll need to stock up on pet food, so there’ll be sufficient until you get back. Should the sitter run out of food while you’re away, they’ll obviously need to purchase more. However it’s advisable to avoid this scenario, as the sitter may buy a lower quality food and cause digestion problems for your pet. If you’re going away for a long period of time, it’s possible that your pet will need to see a vet during your absence. Many owners tend to pay the sitter 50% of the fee upfront so that the sitter can use this money for vet fees, in the case of an emergency. If this were to happen, you will of course have to reimburse the pet sitter for any vet fees they have had to pay.